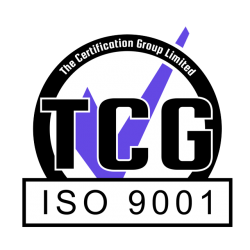 Once you have passed your P601 qualification, you will be able to test your LEV systems. But you will need to have the right equipment. Following a demand from the attendees on our training courses, we now offer appropriate LEV test kits for sale. This is the same equipment we use for the LEV tests that we undertake, so we feel confident in recommending them. If you are undertaking a Thorough Examination and Test, these products can help you to ascertain the performance characteristics of your system. It is extremely likely that you will need most or all of these products to undertake a test properly, but if you are in any doubt please give us a call. booths as part of a Thorough Examination and Test. It is usually used alongside the Kimo VT50 and the Kimo MP120. This new thermo-anemometer features an integrated vane probe which comes with a hold function and automatic power on and off. It measures air speed at 0.3 to 35m/s as well as temperatures at 0 to +50 degrees Celsius. The device comes with an adjustment certificate and hard case for protection during transport. Features: Integrated probe, hold function, automatic shut-off, IP54 ABS housing, 100mm vane probe. Also available: Magnetic covers for £27 excl. VAT, smoke tube kits. 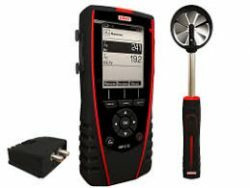 KIMO VT50 Thermo-Anemometer with Hotwire Probe - £317 (Calibration included) ex VAT (£10 delivery charge). Cost includes calibration. 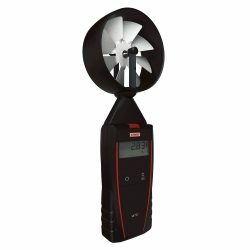 The Kimo VT50 Thermo-Anemometer measures air velocity (i.e. the speed of the air) at small openings and hoods to help ascertain the performance characteristics of a system. It is usually used alongside the Kimo LV50 and the Kimo MP 120. The thermo-anemometer is a measuring device manufactured by KIMO. It features a hotwire probe, a hold control and an IP54 ABS compliant housing. Additionally it comes with an adjustment certificate and a transport container. Features: Hold function, auto-extinction, IP54 ABS housing. Also available: Magnetic covers £27 excl. VAT, smoke tube kits, calibration. KIMO MP120 Micromanometer with Pitot Tube - £378 (Calibration included) ex VAT (£10 delivery charge). Cost includes calibration. This Micromanometer is used to measure the air pressure within ducting in order to ascertain the transport velocity of the air. It is usually used alongside the Kimo LV50 and the Kimo VT50 to measure a system’s performance during an LEV test. The MP120 is a portable anemo-manometer with an integrated pressure sensor and air velocity calculation. Functions: Pressure and air velocity measurement with Pitot tube. Supplied with 2 x 1m of silicone tube (black and white), stainless steel tube (6mm width, 100mm length). It has adjustable climatic parameters, calculation for air velocity with Pitot tube. The MP 210 M combines the capabilities of VT50, MP120 and the LV130 into one instrument. It also allows data logging. To be used in conjunction with pressure module to measure static and velocity pressure at the hood, in ducting and across the filter and fan. Backlit graphic display, two input channels for measuring probes as well as output for PC and printer. Supplied with: Thermocouple K/J/T/S/N channel, one cable with mini-DIN connector, four measuring probes, 2 x 1m silicone tube (black and white), lithium ion rechargeable battery with USB/mains adapter cable, calibration certificate and transport case. Functions: pressure, temperature, air velocity and airflow. The Concept Air Trace MK2 has a 12v DC operation (battery operated) with just a one second warm up time required. Its smooth, low output is ideal for tracing local airflow patterns. It is lightweight and easy to use and, being handheld, is 100% portable. 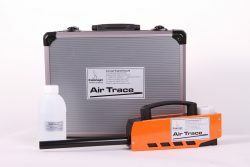 The Concept Air Trace MK2 comes complete with a professional carry case, battery, extension spout, charger and 500ml of smoke fluid which is enough for 250 minutes of smoke. The switch mode charger will charge from a 110v / 230v.